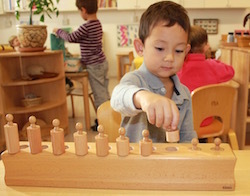 Montessori de Terra Linda (MdTL) is a diverse community of teachers, parents and children working together for the education of the child, utilizing the methods of Maria Montessori. We serve children ages 2-12, providing a rich learning environment based upon the belief that all children can reach their personal and academic potential. We believe that the genuine cooperation of parents, students and educators creates an effective, highly successful experience. By engaging with and applying our core values, we work to develop responsible and caring students who are self-motivated and who respect themselves, their peers and their surroundings. 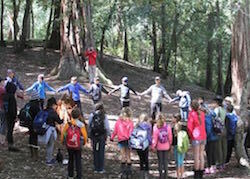 We share a respect for self, others, our world and our environment. We teach students independence, critical thinking, social grace and courtesy. We strive to instill in our students a love of learning. We teach students through hands-on, individualized experiences. We believe all adults in our community are role models. 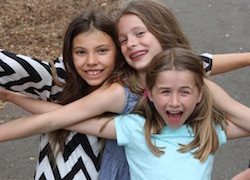 Montessori de Terra Linda offers a Montessori education for children ages 2 through 12 years old. We are proud to be an Association Montessori Internationale (AMI) recognized independent school.